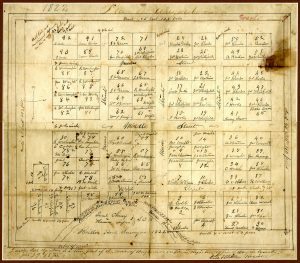 Waynesborough lot map, 1822, by Britton Hood, first Wayne County surveyor. Wayne County was founded in 1779 after a division of Dobbs County was directed by the North Carolina General Assembly. The County was named for Revolutionary War hero, Continental General “Mad” Anthony Wayne. 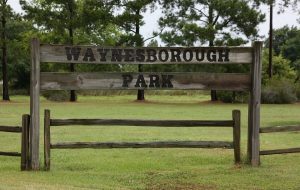 The first seat of Wayne County was Waynesborough, situated on the banks of the Neuse River, a few hundred feet west of present day US Highway 117 South. Waynesborough was incorporated in 1787 and was a thriving town with a courthouse, stocks, a jail, taverns, stores and many homes. Riverboats brought freight and passengers into town. Stagecoaches stopped to change horses and for passengers to transfer to Raleigh, Tarboro, New Bern and Fayetteville. The Wilmington-Weldon Railroad, completed in 1839, came within a mile and a half of Waynesborough. Soon two other railroads were built going east and west and crossing at a junction new Waynesborough. Construction of hotels and businesses began alongside the railroad. A new town arose and was named in honor of the popular civil engineer Matthew T. Goldsborough, who supervised the construction of the railroad. Churchill-Cogdell cemetery, 1920s. This small cemetery is on the trails at Waynesborough Park. The coming of the railroad began a rapid change in the economy and infrastructure of Wayne County. Gradually homes and other buildings were moved from Waynesborough to Goldsboro. The steamships ceased operation on the river. Waynesborough remained the county seat until a vote was taken in 1848 to move it to Goldsboro Junction, just over mile to the northeast. By the time General Sherman’s Army marched through Wayne County in 1865, only five warehouses were left in Waynesborough, and the army proceeded to burn them. Although Waynesborough had been in steady decline since the coming of the railroad, Sherman’s actions removed the last remnants of the town. 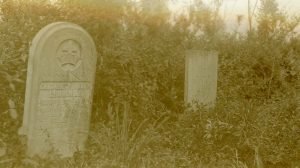 Today the only vestige of the original settlement is the Churchill-Cogdell cemetery. In the 1980’s the Old Waynesborough Commission was formed to create, operate and maintain a village near the original site to represent Waynesborough. 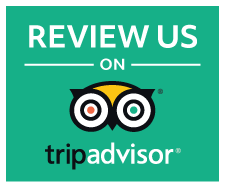 This group solicits buildings dating from the antebellum period to the early 1900’s. These structures were moved to the park, renovated, and opened to visitors as a project of living history. None of the buildings are original to the town of Waynesborough, but each is representative of a period in Wayne County history. In addition to the historical village, the Commission also operates a Visitors Center and over 4 1/2 miles of hiking and nature trails.